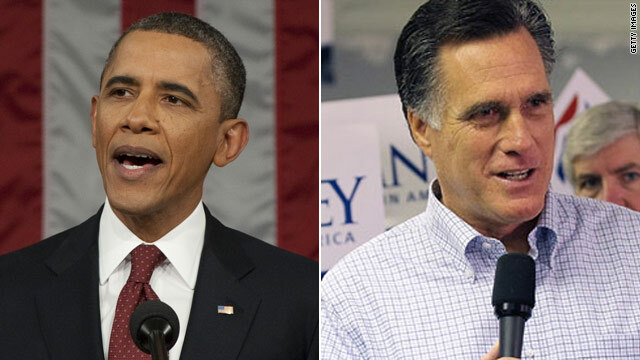 (CNN) – After weeks of scathing back-and-forth between President Barack Obama and his Republican challenger Mitt Romney, a plurality of the American public views the incumbent Democrat as running a more favorable campaign, according to a poll released Wednesday. The Washington Post/ABC News poll indicated 46% of Americans viewed Obama's campaign favorably, compared to only 38% who viewed Romney's. On the flip side, 45% viewed Obama's effort as unfavorably and 49% said they had an unfavorable impression of Romney's campaign. Perhaps more surprising: nearly one-in-four self-identified Republicans viewed Romney's campaign unfavorably, compared to 18% of Democrats who felt the same about Obama's effort. Similarly, 31% of conservative Republicans said they felt strongly favorable toward Romney's campaign, compared to 51% of liberal Democrats who felt the same about Obama's campaign. The poll comes as attacks have turned increasingly negative between Romney, who clinched the GOP nomination in May, and Obama. Democrats have seized upon reports that Romney remained CEO of Bain Capital after 1999, the year he has repeatedly said he left the privatge equity company to head the Salt Lake City Olympics. At the heart of the debate are companies that were acquired by Bain and then outsourced jobs to counties with low labor costs. Democrats, as well as some Republicans, have also hit Romney for not release more of his personal income tax returns. Romney, who has released his return from 2010 and an estimate of 2011 (Romney says he'll release the 2011 returns when they are complete), says he's disclosed more than enough. Romney's team, meanwhile, has been under pressure from some Republicans to ramp up their hits on Obama. An ad released over the weekend criticized the president for his negative attacks, saying they fly in the face of his 2008 campaign promise of "hope and change." Romney's team also launched an attack blasting Obama for funneling federal funds to companies whose owners had contributed to his campaign coffers. The ABC News/Washington Post poll was taken by telephone from 1,015 adults between July 11-15. The sampling error was plus or minus 3.5 percentage points. Probably because Romney don't promise people the moon. He only promises the cold hard facts of life. Who want's to hear the cold hard facts of life. I have observed over the years that Ignorance abounds through the land. People buy that Snake Oil in buckets, and after it fails buy more of it. And so it goes. What is much worse is when the two give speeches. Our President talks more about the future for America. Romney can only run down the President, with no ideas for the American future. Why is this a surprise? Romney has been negative from the get go, dating all the way back to the primaries. It doesn't help that Romney LIES constantly with ease and won't release his tax returns. So this tells us the poll sampling was 46% sheeple. WHat has happened to freedom of thought in this country ? That's because Americans have been taught to believe lies/not think for themselves. That's why we have the present situation. The facts clearly show this country is worse than it was before the present occupier moved into the WH. And his base will, of course, still vote for him because most of them are on receiving government handouts/funds. Romney's campaign is being defined by the Tae PArty and Neocons who have been attacking Obama's birth, among others. People are getting sick and tired of the lies Romney's talking heads are spewing. Fox News earlier "repoted" tha an Obama trip was costing billions of dollars which was a flat out lie. Republicnas are hurting themselves more than the president, deservedly so. Big surprise... Considering Romney's overwhelming negativity, lack of vision, lack of any real plans, and general spoiled brat demeanor, I'm surprised he's fairing this well. Maybe the dumbed-down right are starting to see the light. If we don't move the country forward (by letting Obama continue fixing the broken economy for the next four years) and Willard wins in Nov, the partisan divisive political climate will continue unabated. Assuming no change in Congressional makeup, the Dems will spend the next four years acting like the Grand Obstructionist Party has done for the last four – and absolutely nothing will get done. At least when Obama wins, business – and the rest of the world – will know that the people want the economy fixed and perhaps the GOP controlled House will actually work to get something done for the good of the country. This guy Romney is terrible! Why is that? Because he has nothing of value to offer, only blaming Obama for everything under the sun? People are sick of his nonsense and wimpy pandering. No substance with Mittens. At this point, Obama has way more executive experience especially after being handed such a royal mess along with a Congress that has done nothing but work against him and our country. Sticking with our President here and so are all my family and friends.